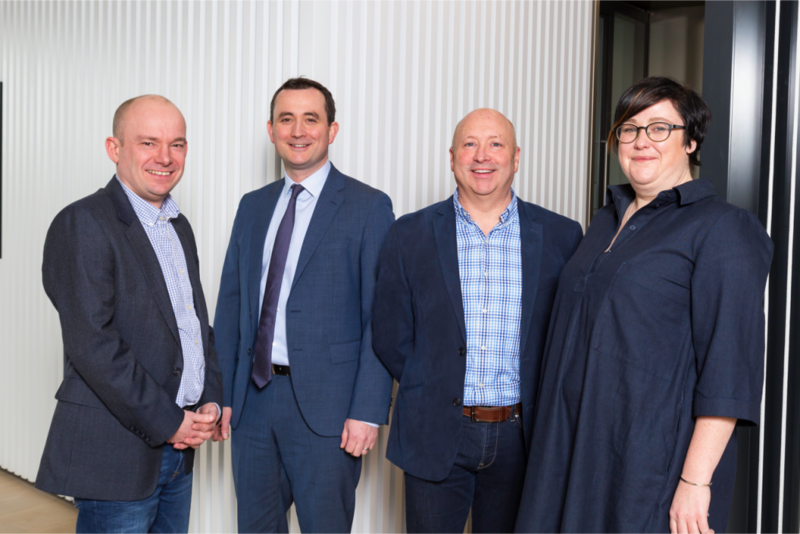 NorthEdge Capital has invested for a significant stake in cloud transformation and infrastructure specialist Cloud Technology Solutions (CTS), backing the incumbent management team led by CEO James Doggart, CSO Steve Dobson and CFO Hannah Liptrott. CTS has undertaken transformation projects for Ladbrokes-Coral Group plc, HomeServe plc, Roadchef and recently worked with Manchester City Council, migrating over 7,000 local authority workers to Google G Suite. CTS has also developed a strong offering in Google Cloud Platform and IaaS. Additionally, the software products created by CTS, CloudMigrator™ and Cloud Pages™, are now used by over 10 million users worldwide in over 74 different countries. CTS has experienced a period of strong growth, with revenue having tripled over the past three years, and has had a promising start to the year with several new business wins and an expansion of its city centre offices at Lowry House. The business now employs over 100 staff across its offices in Manchester, Belfast and Edinburgh. The investment extends NorthEdge’s recent track record of supporting Northern-based tech companies following its investment in Cubic Motion in September 2017 and recent successful exits of Utiligroup and Sumo Digital in the last 18 months. James Doggart, CEO at Cloud Technology Services, said: “I’m really excited about the investment from NorthEdge. The timing is perfect given the growth of the market. It will allow us to take advantage of the global market demand for cloud, our plans have us doubling our workforce over the next three years. “Our technology is currently used in 74 different countries, this funding means that we can push on even further globally, whilst continuing to accelerate the development of our products to offer industry defining value to our customers and partners. “CTS is well placed given their proprietary technology to be at the forefront of this rapid expansion, and its team of software experts, led by James Doggart, has proven its ability to modernise major institutions and transform businesses so that they can seamlessly transition to the public cloud. We have been impressed by the team’s historic track record and we are excited by the growth prospects and international expansion potential for the business. GCA Altium provided Corporate Finance advice on the deal, with the team comprising of Simon Lord, Dom Orsini and Phil Chadwick. Legal advice was provided to NorthEdge by Giles Chesher, James Fitzgibbon and Matt Canipa of Squires Patton Boggs. David Easdown and Matt Flanagan of Turner Parkinson provided legal advice to management. Deloitte provided financial due diligence support to NorthEdge, led by Jodi Birkett, Colin Kerr and Alex Ault. EY provided due diligence support to NorthEdge, led by Olivier Wolf, Ulrich Loewer and Satya Ammu. PWC provided tax support for the transaction, led by Simon Viner and Adam Waller.